We love fireplaces. We also love watching TV shows and movies. It was inevitable we would bring you a way to combine the best of both of those things. Putting a TV above the fireplace is not a new idea, but sometimes it can just seem out of place. 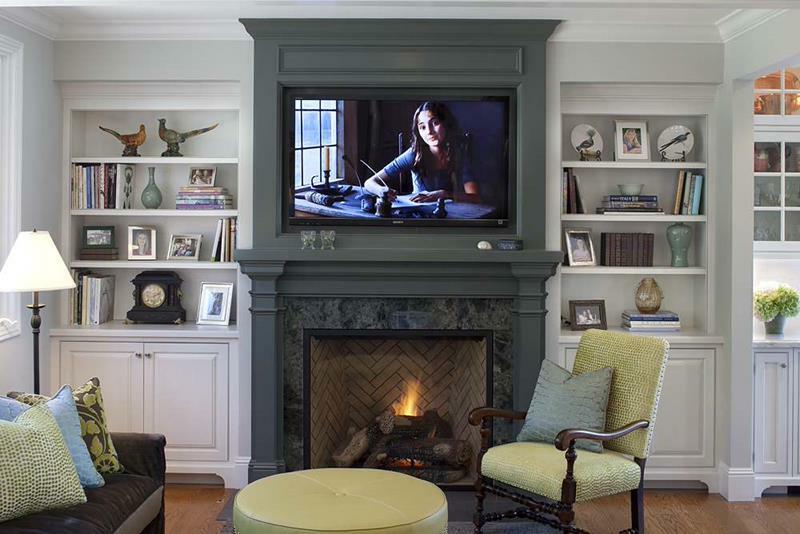 Well, we’ve gathered over 25 examples of just how great putting the TV above the fireplace can look. Imagine sitting back after a long day, starting up the warm fire, and turning on your favorite movie. That’s what we want for you. 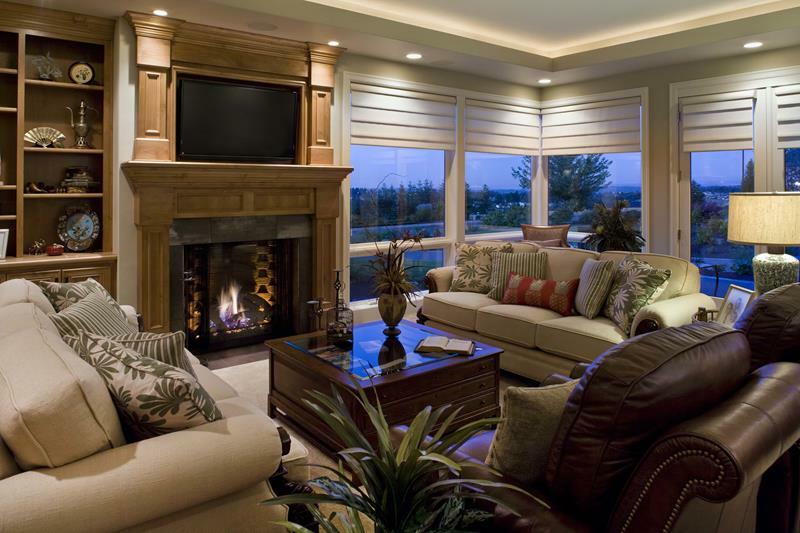 Below, you will see that no matter what style of room you have, a TV above the fireplace can work. From traditional to contemporary, nothing seems more natural. Browse through the gallery below and start planning your next redesign. This entertainment space has a fantastic look thanks to the contrasts created. The center area is darker than the shelves, giving this a wonderful balance. 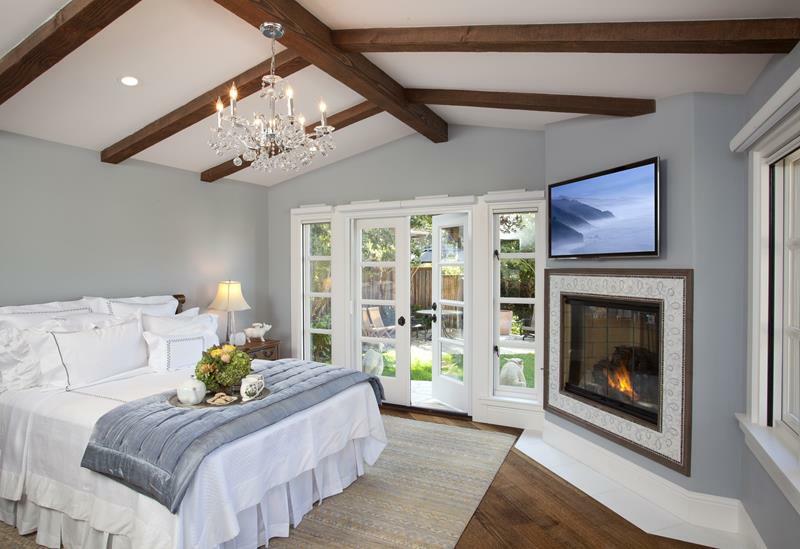 This whole room has a light style vibe and we love the fireplace area. With the TV right above it, you can be entertained and kept warm. 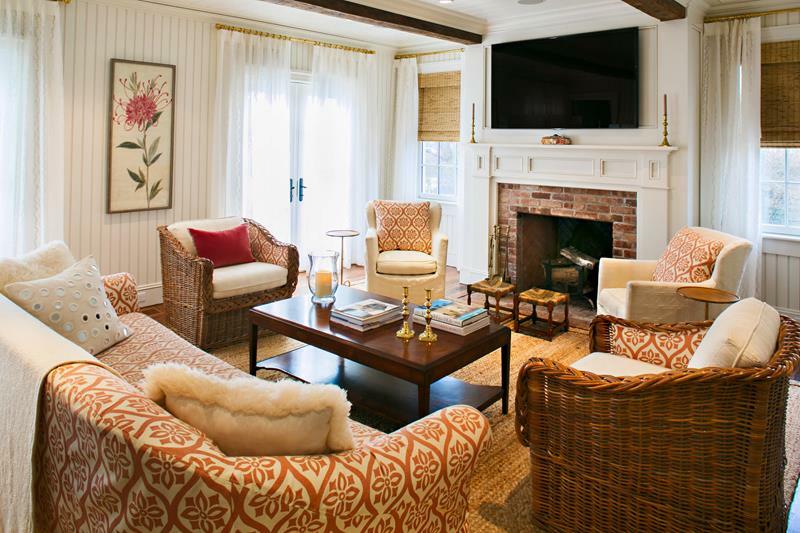 This room has a classic decor style, one that blends color and tradition. 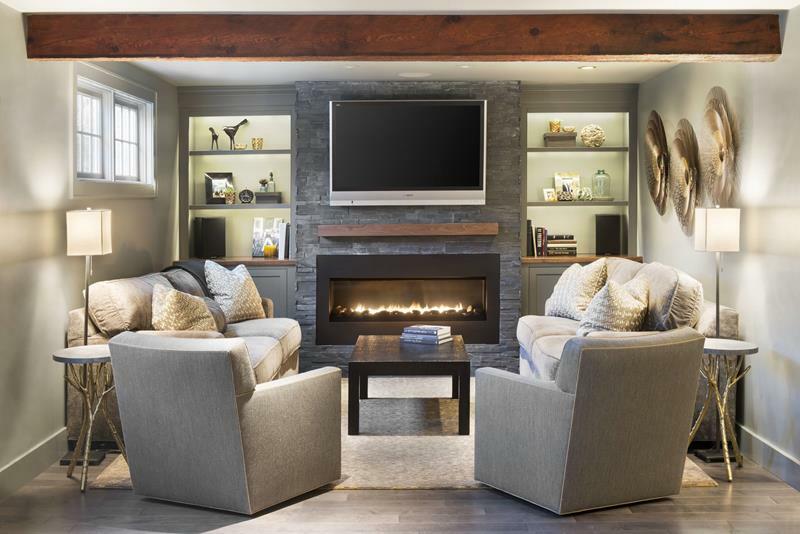 The TV is built into the area above the fireplace, giving it a seamless design look. This bold and sophisticated room makes use of darker colors and stone. We live how well the TV blends in with the surroundings. 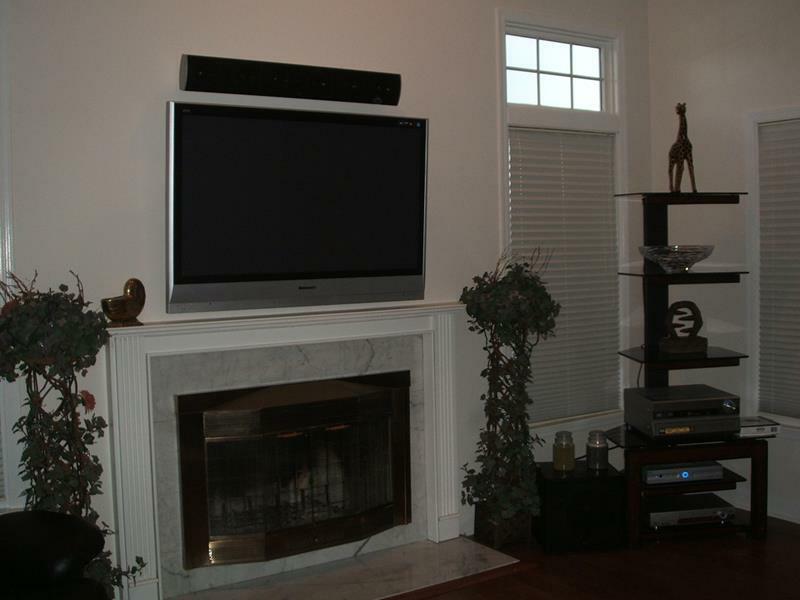 This television is built in right above the fireplace, continuing the modern look of the whole space. This is a sleek and streamlined setting. This fireplace area has a wonderful gray stone setting and the television works perfectly here. We love how it matches the decor style of this room. 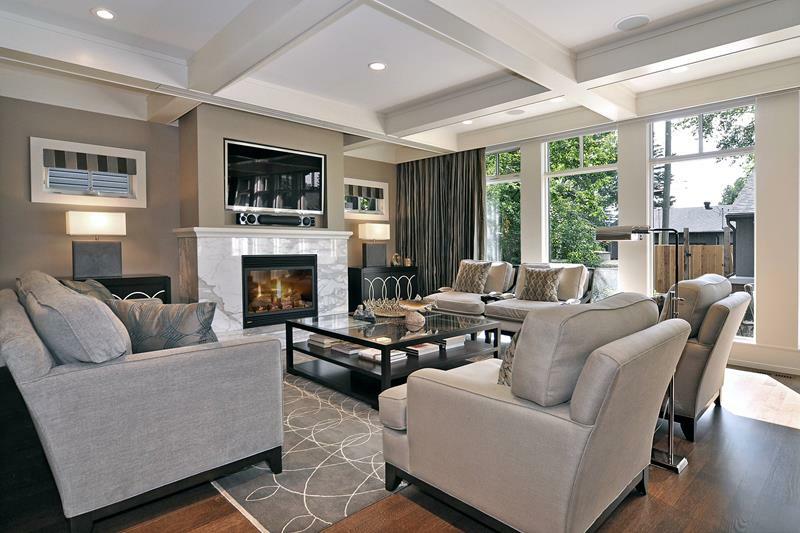 Sleek and luxurious, this living room has a wonderful look. The fireplace has a traditional look and the built-in TV keeps the elegance going. Photo by Kaufman Homes, Inc. This fireplace has a wonderful column style that continues up to flank the television as well. We love the traditional elegance the style brings. 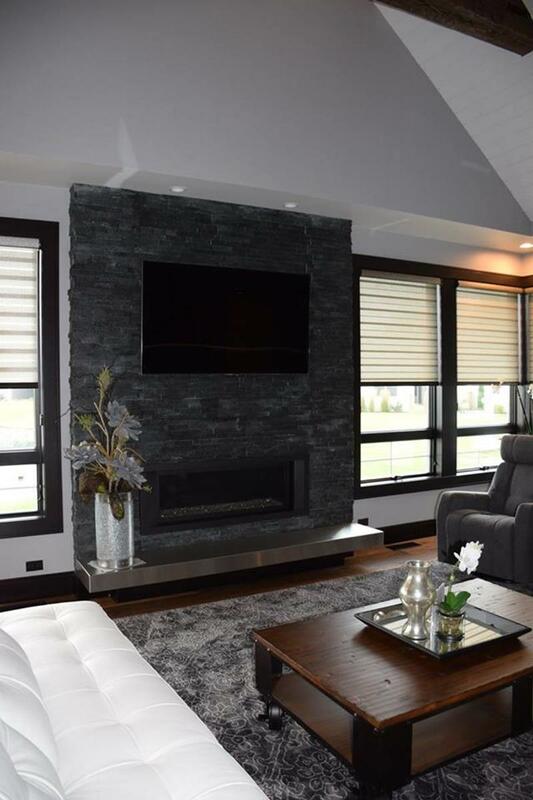 This dark stone fireplace area has a contemporary style that works well for this living room. The television sits in the perfect spot for everyone to see. The light beige color of the walls in this room is wonderfully contrasted by the darker center of this room. We love this fireplace area and how it brings a luxurious style. 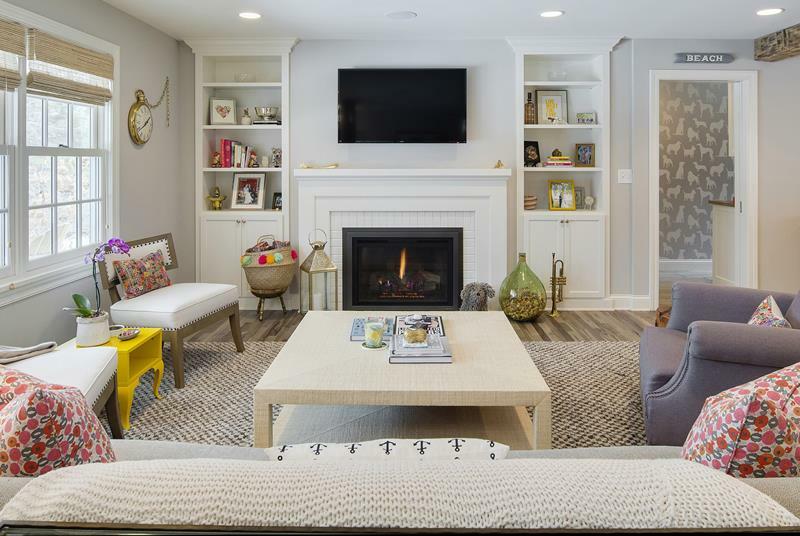 The natural stone style of this fireplace area brings a great look to this living room, and the television sits right above the hardwood mantel. This space doesn’t have to work hard to look good. 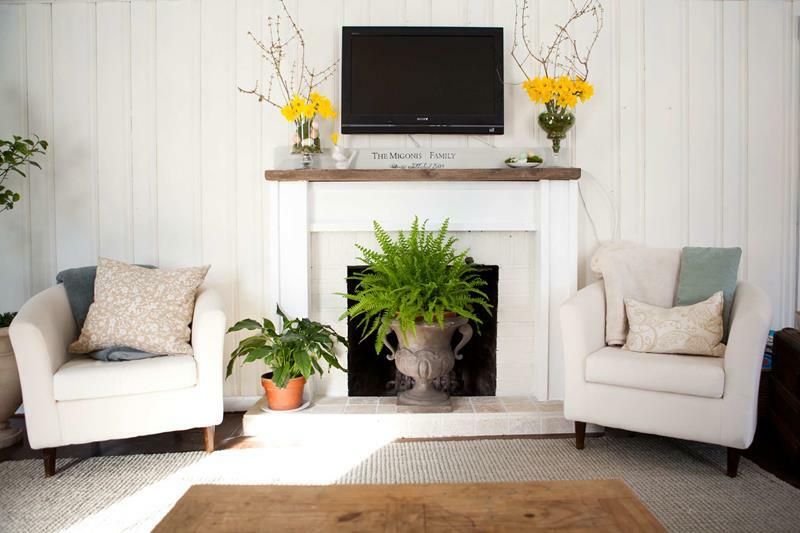 With light walls and a great fireplace, we love how the TV just blends perfectly with the decor style. This television sits in a space that has wonderful decor and the symmetry on either side works well. This is a light room with a country vibe. This traditional fireplace area uses brick to balance with the colors of the room. Above the mantel, the television sits, ready to entertain. 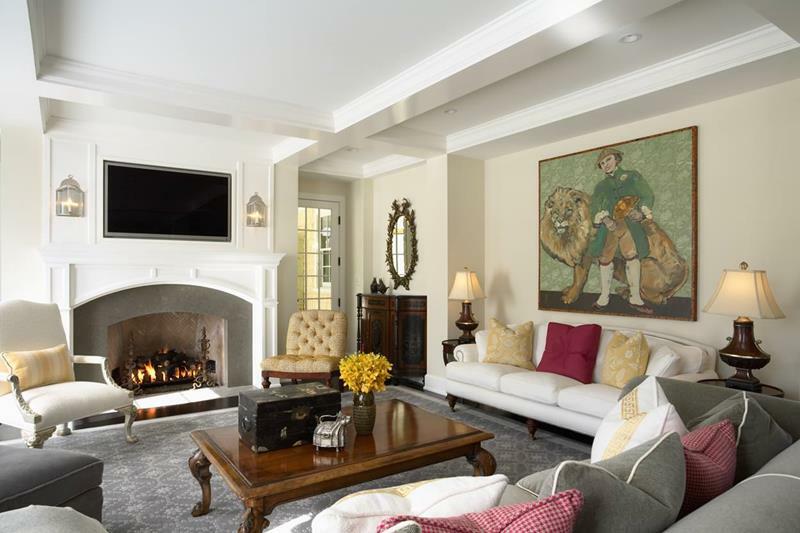 This fireplace and TV combo area looks amazing in the corner of this room. You can enjoy warm and relaxing evenings here. We love the bold hardwood look of this space. 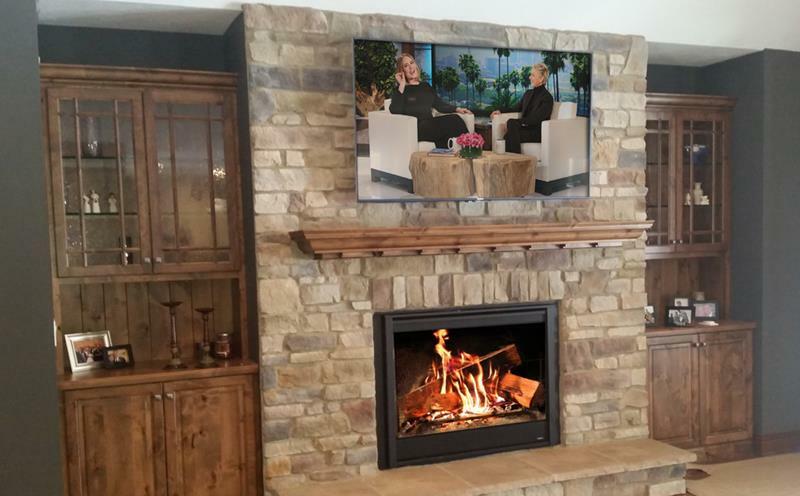 The fireplace blends perfectly with the surroundings and the TV is perfectly placed. This is a perfect combination. 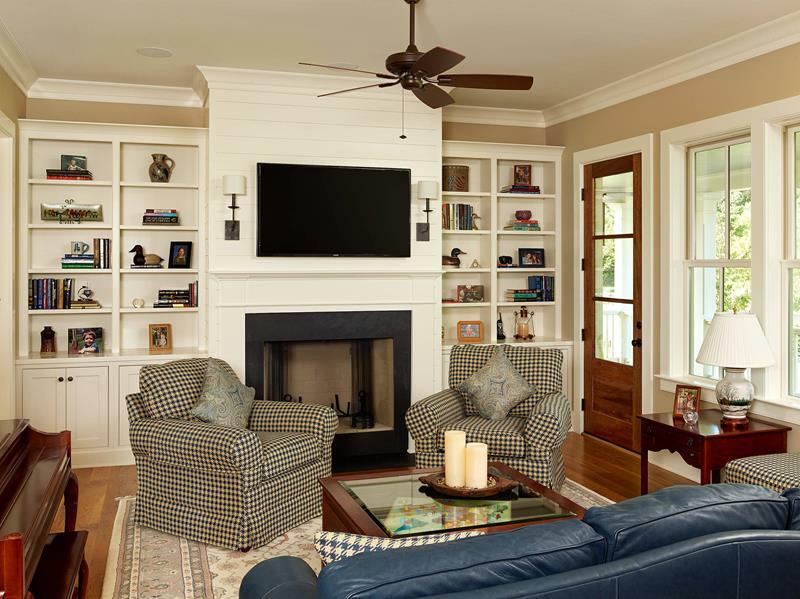 The beautiful hardwood works so well with the stone fireplace area. 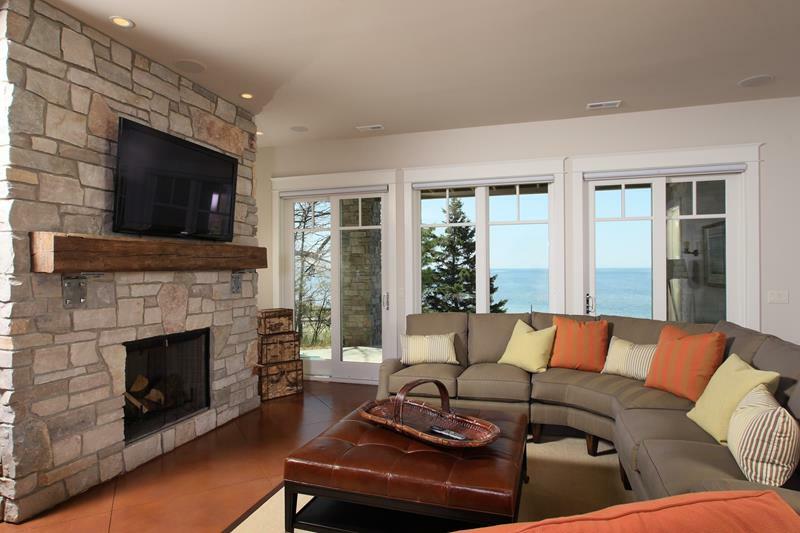 The fireplace area blends seamlessly with the rough stone style wall here. The television is in the perfect spot. 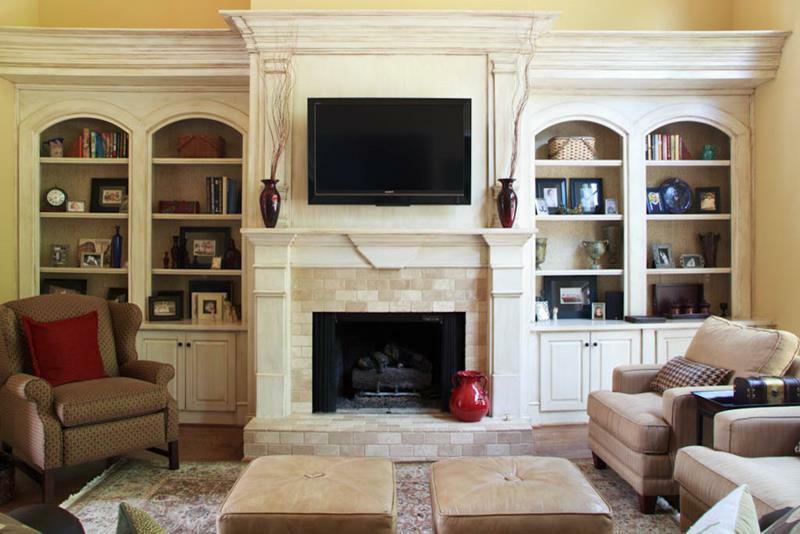 With traditional shelves on either side, this classic open hearth fireplace has a great symmetry around it. 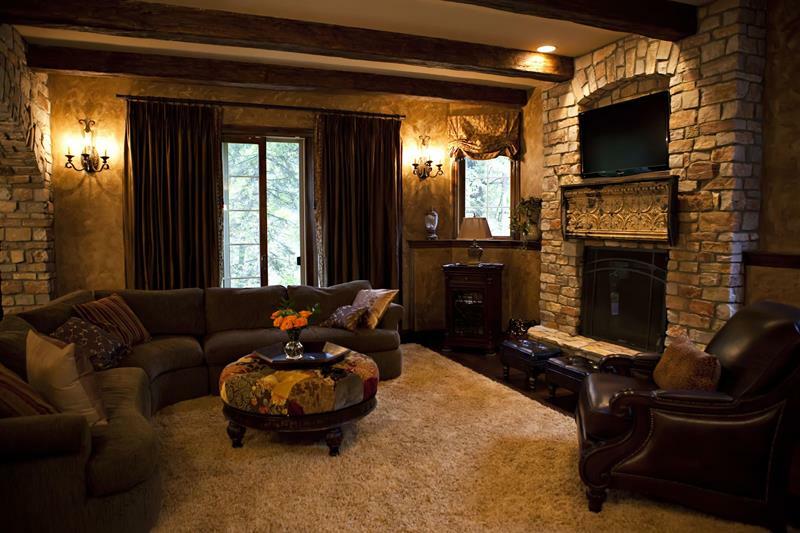 Photo by Sonora West Development, Inc.
We love the rustic style brought by this stone fireplace. The television space is built-in, giving it a seamless blend with the area. 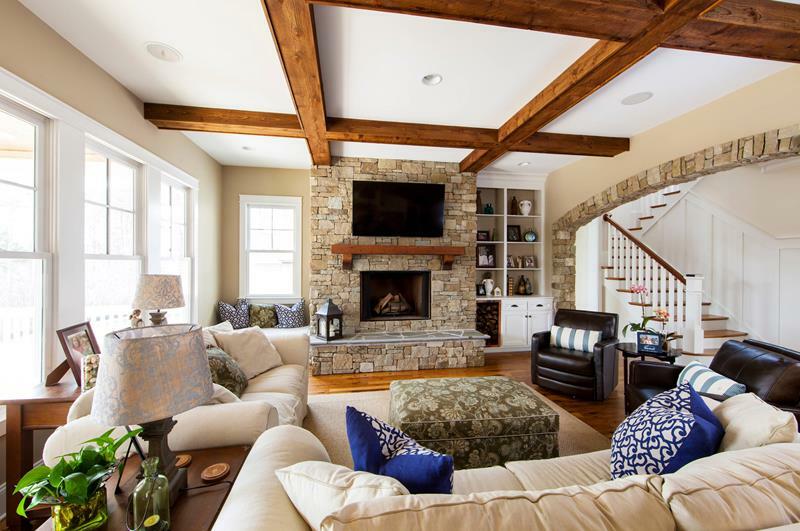 The hardwood beams overhead lend the room some style that is continued by the stone fireplace area. This is a traditional and beautiful space. 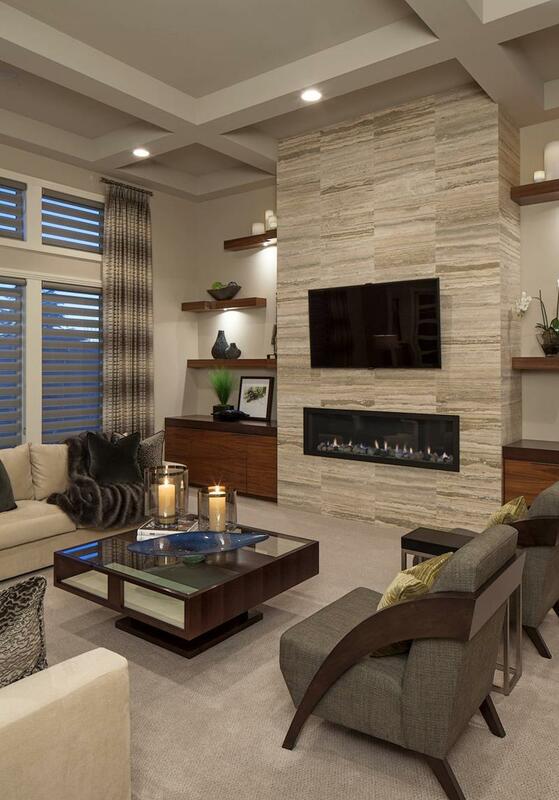 Streamlined and modern, this fireplace area goes for elegance. 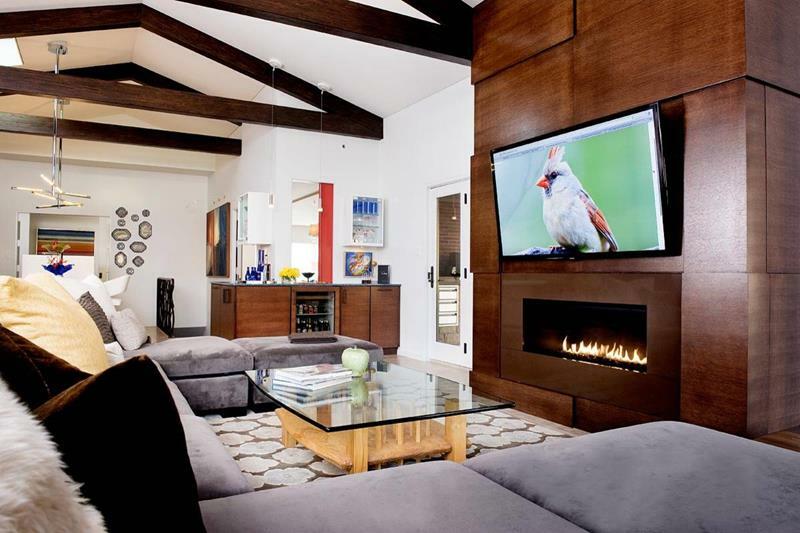 We love the contemporary style here and the television blends right in. The dark rustic style of this fireplace is a great match for the decor of this room. We live the hardwood and patterned furniture. 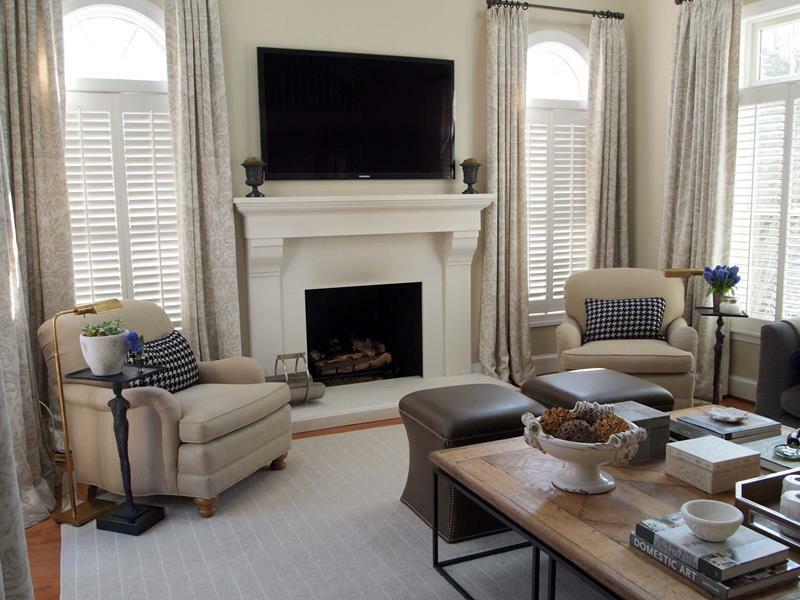 This traditional fireplace is light and blends perfectly with the room. The TV is where everyone can see it, giving you a place to relax and be entertained. 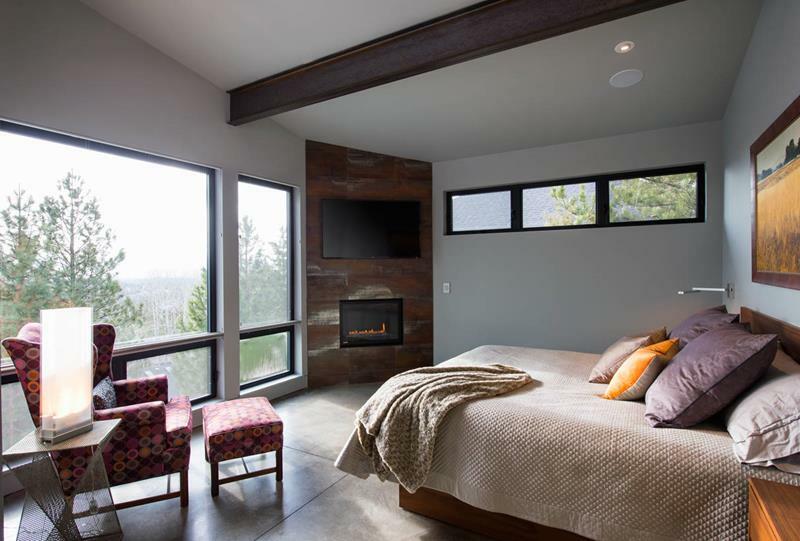 This bedroom has a fireplace built right into the wall and the TV right above it. Spend your nights warm while you catch up on some shows. This is a traditional space, with beige leading the way to a calm area. We live the black fireplace and how well the TV matches it.